Happy to announce that my photo “The Murmuration Makers “was awarded Highly Commended in the Nature Photographer of the Year Contest. 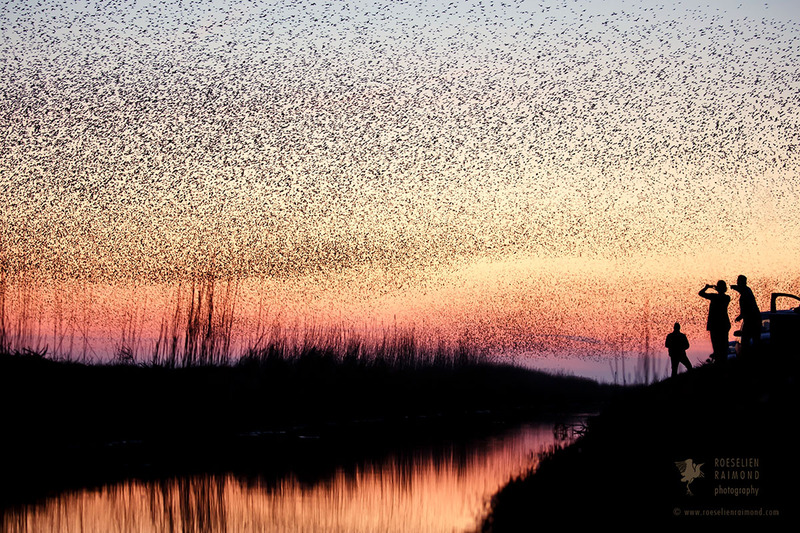 If you have ever been lucky enough to witness the wonderful phenomenon of swarming starlings, you will understand the feeling that I mean, when I say it is a magical experience, you will never forget. When we arrived we knew more or less what to expect. Not that one could prepare for such an incredible phenomenon, but at least we had an idea … Suddenly a car stopped with squeeking breaks. The people jumped out, leaving the car door open, visibly amazed by this natural wonder. Although i could have easily left them out of the frame, I chose to make them part of the story. Their excitement, that feeling of totally being in awe, perfectly depicted my own amazement…. This entry was posted in Uncategorized and tagged award finalist murmuration Nature Photographer of the Year Contest winner on November 14, 2017 by admin.